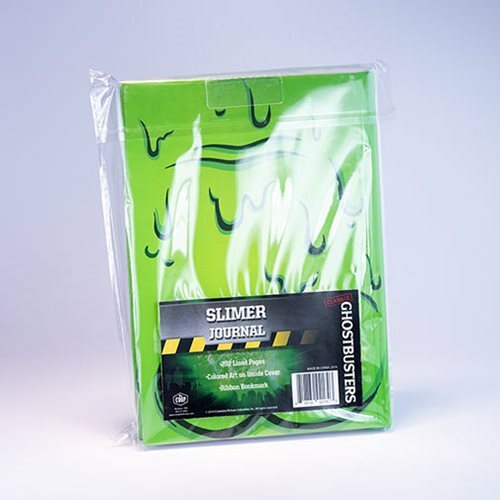 Keep track of your paranormal encounters! 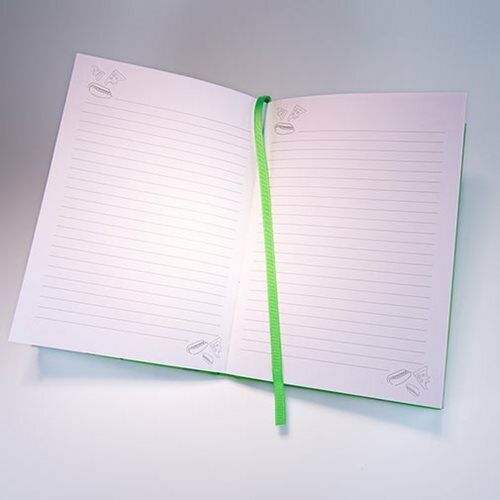 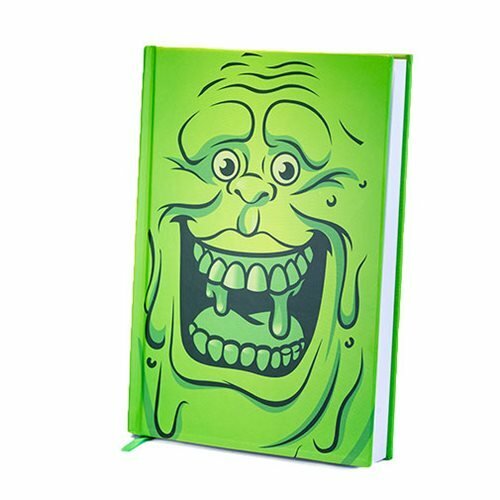 This Ghostbusters Slimer Journal features 232 hardbound lined pages, complete with a ribbon bookmark and colored art on the inside cover. 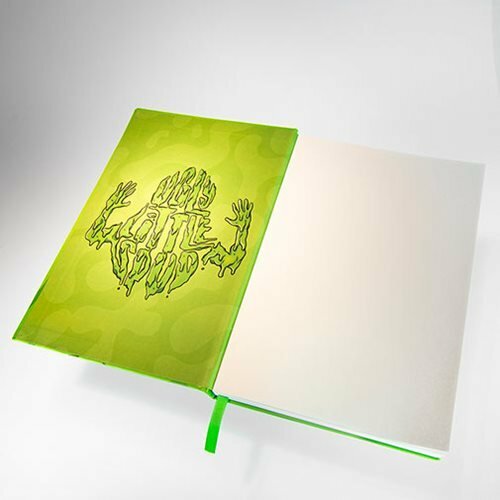 It measures approximately 8 1/4-inches tall x 6-inches wide x 1-inch deep.